I like the recent trend to make higher-end Wi-Fi routers look interesting. Stepping away from the old-school canister or plain shell with antenna is especially pleasing. No one has embraced this more fully than D-Link, with the DIR-855L/R being one of the latest crop of performance routers. Sporting a dual-core 1.4GHz Broadcom BCM4709C0 SoC, this 4×4 stream AC3150 (1000Mbps 2.4GHz + 2167Mbps 5GHz) class Wave2 802.11AC with MU-MIMO should provide excellent performance for most homes and users, and at $280 SRP ($200 street), it won’t break the bank either. Just as no one has embraced the interesting looking router like D-Link, the same can be said for the premium feel of the packaging. Wrapped in thick cardboard and foam cut-outs, unboxing the DIR-885L/R was easy and tacitly rewarding with no danger of destroying the box or cutting my hands on cheap edges. 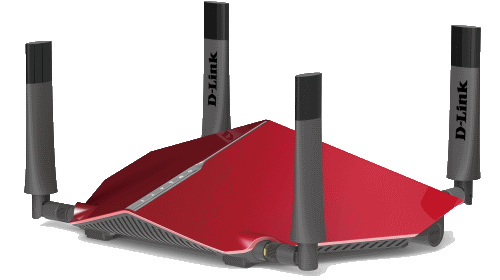 I am a fan of the D-Link DIR-885L/R’s looks, although I cannot decide if it is more spaceship or angry beetle J. Even if you are not a fan of the funky design, there is no arguing with the features provided. With USB 3.0 and four Gigabit Ethernet ports, the fundamentals are covered. And I love the flexibility of the power adapter – although most will not need to make use of its ability to easily swap in alternate plug styles. There were two minor complaints: first, the power cord is only 48” long and the mounting slots are unidirectional. Neither will have much impact unless you plan to hang the AC3150 router on the wall, but it does inhibit flexibility in that scenario. Looking at the back panel of the D-Link DIR-885L/R, there is an interesting little switch that flips between “router” and “extender” modes. I am not sure why this toggle is implemented in hardware, instead of software, but when changed over to extender mode, it enables the device to operate as a media bridge, repeater, or dedicated access point (AP). Interestingly, the WAN Ethernet port is operational in these modes (perhaps that’s why it’s a physical switch). 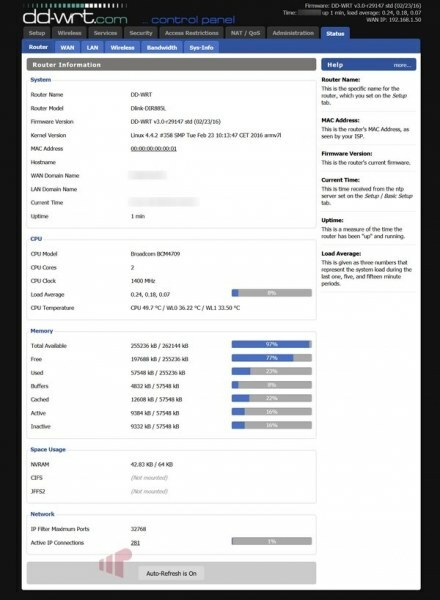 So, for example, you can use the WAN port in AP mode to connect to the hardwired network without introducing a double NAT. Effectively adding an extra Gigabit switched port to the mix, should you need it. First-run on the D-Link DIR-885L/R was perfect. Browsing from a connected system forces the setup wizard, which is normal and expected, but it also nails the three most important security aspects of first-run. Forcing users to set the default system password, change the default Wi-Fi password, and successfully detecting that a new firmware update was available as well as applying it. I know it seems odd to call out these steps, but it is an area that is often missed or mishandled. So it is fantastic that D-Link nails it. Well done. If you are familiar with D-Link’s recent UI, the DIR-885L/R will be easy to configure. Actually, I think it will be straightforward for most users. There is a lot of functionality spread throughout in a way that is discoverable and intuitive – even for someone not technically inclined. All of the important bits are included: static DHCP, schedule based parental controls, basic URL filtering, port forwarding, and guest networks. I especially like D-Link’s guest wireless implementation, which starts up a discrete subnet with a separate DHCP server. This makes it possible to segment the guest Wi-Fi from the LAN, and use a 3rd party DHCP server on the main network. There is not much to complain about, except that the user experience (UX) is so approachable that even the advanced settings are not really that advanced. Some power users may find themselves more limited than they would be with some rival devices; Smart Connect (the feature that exposes both radios as a single SSID and controls handoff between them dynamically) is one example. Even selecting the preferred radio frequency is not available when it is enabled. If you are willing to give up the benefits of Smart Connect, the typical degree of radio configurability is presented. With the ability to manage frequency per band exposed (which was my preferred configuration). Also, as a perennial gripe, D-Link does not provide a way to safely remove USB storage. This means that to be totally sure you will not mess up the hard drive, you need to power off the router. In general, the D-Link DIR-885L/R was very stable and performant, but one very odd issue was noted where it overrides all LAN based DNS queries with the result provided by the WAN DNS server – even if you attempt to manually override it. This means in practice that you cannot use OpenDNS or Google DNS, but must use whatever your ISP pushes down. In the image above we can see how this works, or does not, with a custom DNS server offered as a second argument to the command line DNS resolution tool “nslookup”. 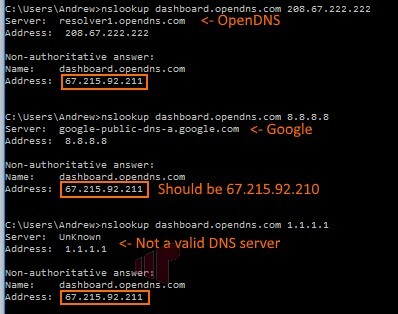 Note, that it even returns the OpenDNS result (the router was attached to my internal network which forwards to OpenDNS) when an invalid DNS server is provided. This issue has been escalated to D-Link, but unfortunately they have not been able to reproduce it. So, it is possible that that this defect is isolated to the review unit, or some other artifact that has remained elusive. My guess is that this DNS issue is due to some sort of race condition in the startup routine as it is possible to get the D-Link DIR-885L/R into the proper state by changing any setting that forces the firewall to reinitialize, but does not also reboot the device. Toggling any of the settings above will do this, and it will remain in a functional state until the next reboot. Fortunately, if you find yourself too limited by what is available in the stock firmware or want a more permanent fix for that DNS issue, dd-wrt is an option. Easily applied and unapplied, using the 30/30/30 method. The UX here is nearly the opposite of what D-Link provides; with very few limits to what you can do with the DIR-885L/R, but requiring a thorough knowledge of router configuration. Unfortunately, this flexibility carries a significant cost – measured in ~ 60% performance reduction in 802.11AC and WAN<->LAN routing performance. Modern router SoC get hot, and the D-Link DIR-885L/R is no exception; hitting nearly 50C on the bottom of the device. That said, no issues were observed during extended stability or performance testing. 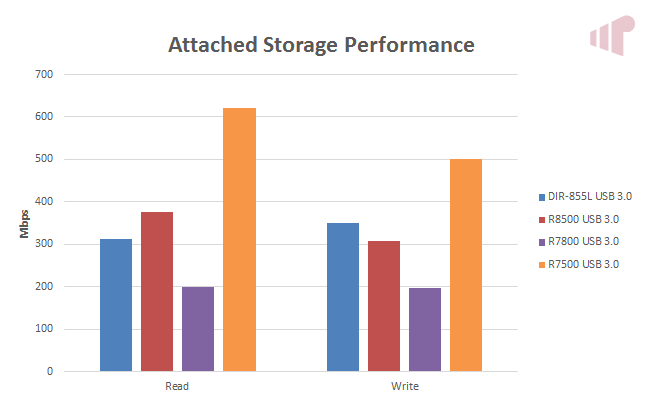 Performance testing was conducted using a real-world testing methodology, where a large file is copied from one side of the wireless gap to the other. Testing utilizes SSD equipped PCs via their Wi-Fi adapter or Gigabit Ethernet (for media bridge testing) with average bandwidth for the period represented in the charts below. It should be noted that the distance markers are not strictly linear. They represent locations in a two-story brick/plaster home with solid plaster/block (i.e. not stud + dry wall) internal walls; with 1-30’ on the ground floor and 35-50’ on the floor above. Unfortunately, I did not have a second D-Link DIR-885L/R on hand to test media bridging performance against so it was not possible to determine the performance advantage available from its quad stream 2167Mbps 5GHz radio, with a AC2600 (800Mbps 2.4GHz + 1733Mbps 5GHz) class NETGEAR R7800 was used instead. Interestingly, while the DIR-885L/R performs quite similarly to the other routers (even the active antenna R8500), it does not quite match the overall performance provided by the competitive models. Although, it clearly bests the AC3200 (600Mbps 2.4GHz + 1300Mbps 5GHz + 1300Mbps 5GHz), demonstrating a marked advantage in performance at all locations versus the older technology. 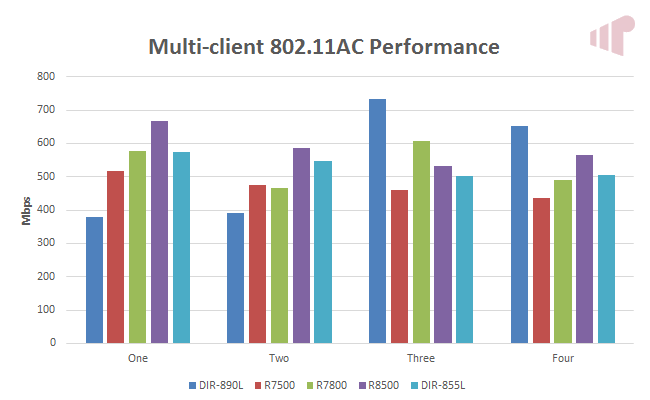 Looking at 2×2 PC testing, we see the D-Link DIR-885L/R providing much higher mid-distance performance than the R7800 (AC2600) router, and really only losing out to the R8500’s powered antennas at distance. The 2.4GHz story is roughly the same, with the only glaring exception noted at close distance, where the DIR-885L/R cannot match the R7800. With a 4×4 wireless implementation, I expected the D-Link DIR-885L/R to shine with two 2×2 PCs connected, and it did. Turning in performance quite close to the 2x 4×4 AC5300 NETGEAR R8500. Performance does drop off a little moving to three clients flattening off at just over 500Mbps total bandwidth; highlighting an area where the older D-Link DIR-890L is still the best (even topping the R8500). 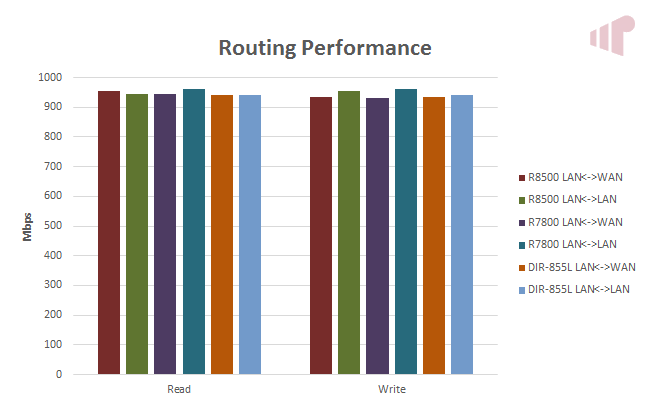 Nothing that interesting was discovered testing routing performance. Both WAN<->LAN, and LAN<->LAN are consistent with competitive models, as they should be. 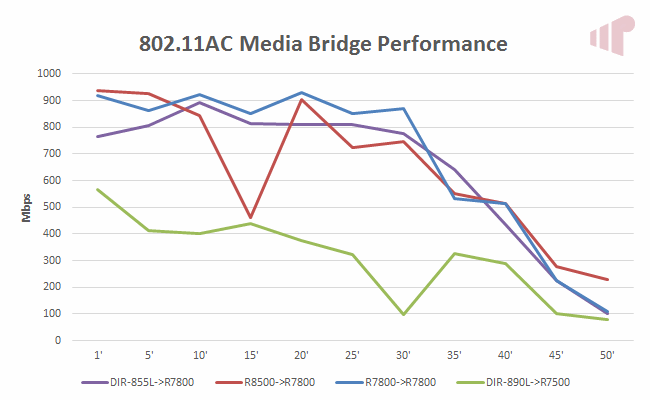 I would guess that the slight advantage enjoyed by the 1.7GHz dual-core R7800 likely comes down to its 300MHz frequency advantage over the DIR-885L/R. Lastly, should you attach a USB 3.0 hard disk drive to the D-Link DIR-885L/R read/write performance is good enough that it should provide a serviceable “NAS” as long as the number of clients is not that numerous. 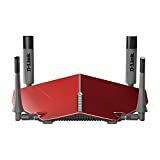 At $280 SRP ($200 street) the D-Link DIR-885L/R is a great value compared to competitive 802.11AC AC3150 Wi-Fi routers, and even some lower spec kit from other OEMs. Performance and stability are both quite good for the money, and unless you have a large number of very demanding wireless clients, it should be a pretty safe bet even for a larger home. I love the guest wireless implementation, and the ability to easily install dd-wrt is awesome. But the device has a few niggles as well, with the main one coming in the form of (at least for me) the inability to bypass my ISP’s DNS servers without additional mucking about each time it reboots. Thanks to D-Link for providing the review sample. I have a DIR-885L too, and the DNS issue is really a trouble to me. I have used DIR-810L with a TV-Box for a long time, no such DNS issue, but when I changed the router to DIR-885L, the TV-Box can’t work properly anymore … because my TV-Box must to work with a specific DNS. Fortunately, the cheat you provied can work well, really thank you.